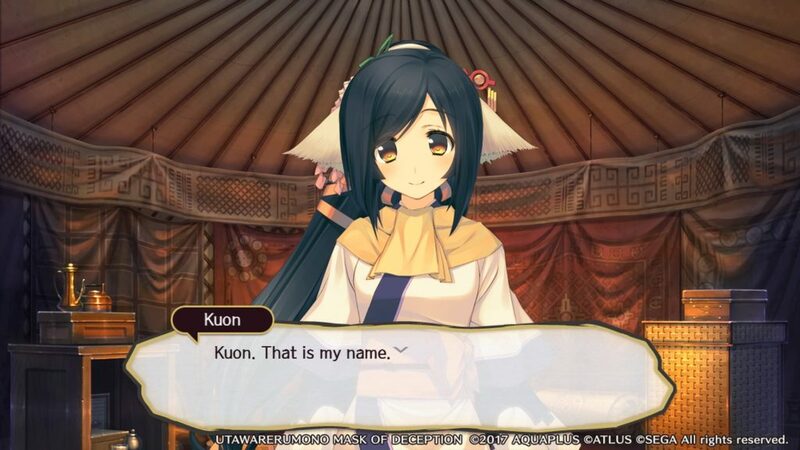 It’s almost time to embark on an unforgettable journey, because Utawarerumono: Mask of Deception is coming to Europe on May 23! We now have a brand new story trailer! If you suddenly woke up to an unfamiliar fantasy world populated with strange people, the last thing you’d want is to get involved in a war, right? Well, that’s EXACTLY what happens to Mask of Deception’s protagonist Haku! • An Unforgettable Story – Mask of Deception offers a story-rich visual novel experience (40-50+ hours long) that lets players shape the future of a fully realized world filled with fantastical lore and history! Mask of Deception sets up the story for a thrilling conclusion in Mask of Truth, and we’ll reveal more information about the final game at a later date. • An Active SRPG Battle System – Players will need to defend Haku and his friends by engaging in intense SRPG combat with the various hostiles that populate the world. The battle system is a thrilling mix of turn-based tactics and Attack Chain mechanics. Players can remain active during combat by successfully completing timing-based charging rings to execute critical attacks or vital dodges/blocks. • Fully Fleshed Out Combat – Unique combat features such as the rewind function, elemental affinities/weaknesses, unique character skills, and more add a layer of depth to fights. It’ll take true tactical acumen to emerge victorious in battle! 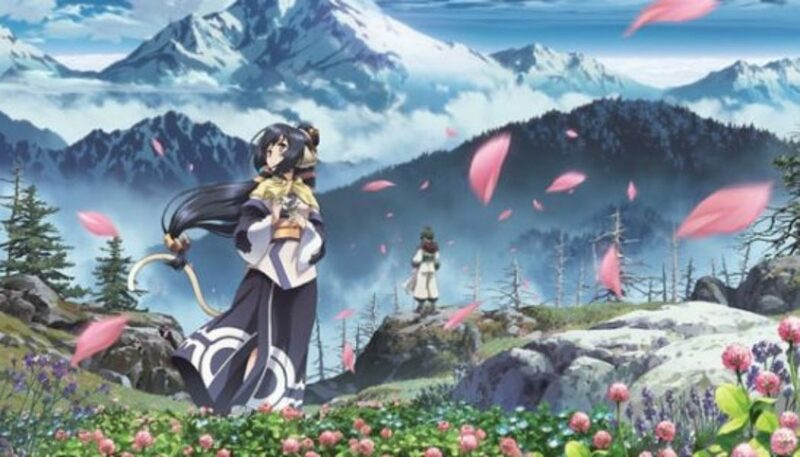 • Breathtaking Art – With a stunning art style and beautifully rendered cutscenes, the game is a feast for the eyes for Japanese visual novel and anime aficionados! • Beautiful Songs and a Thrilling Score – The rousing music, recorded and remastered at the legendary Abbey Road Studios and EastWest Studios, is a perfect soundtrack to accompany a great adventure. 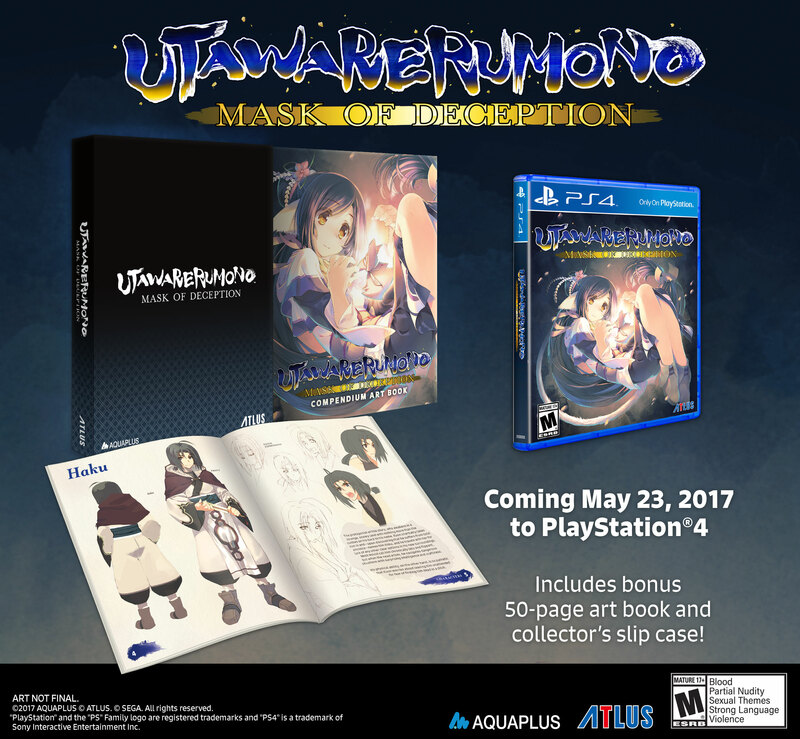 Utawarerumono: Mask of Deception and Utawarerumono: Mask of Truth will both be available physically for PlayStation 4 and digitally for PlayStation Vita systems in 2017 in Europe. 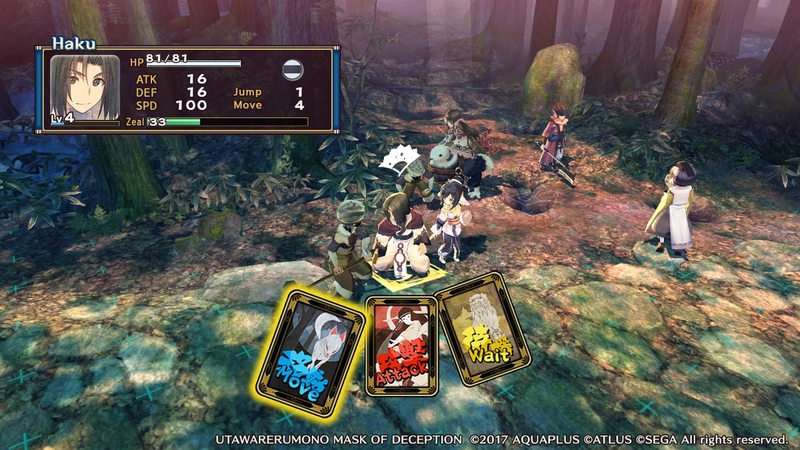 Mask of Deception will release on May 23, and the game’s direct sequel, Mask of Truth will release later in the year with English text and the original Japanese audio.